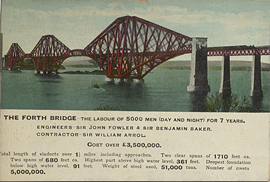 Fourth Bridge across the Firth of Forth in Scotland, postcard. 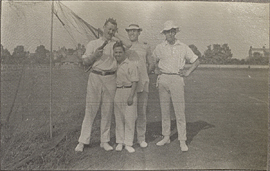 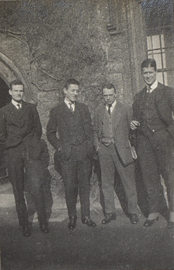 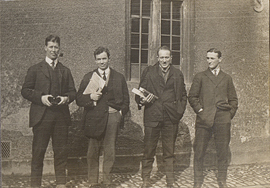 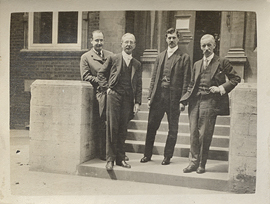 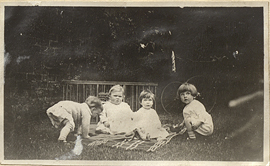 Friends of Wilder Penfield standing in an outdoor sports field, photograph. 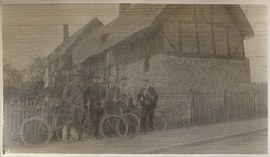 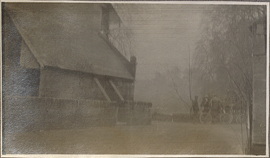 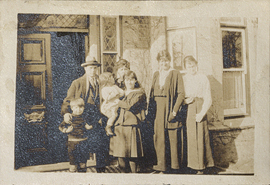 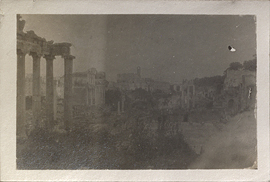 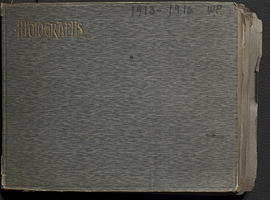 Front cover of photograph album, 1913-1916. 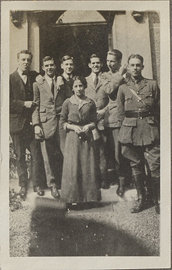 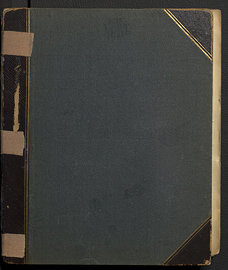 Front cover of photograph album, 1919-1927. 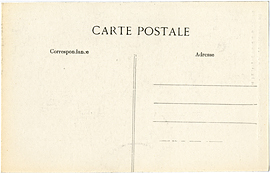 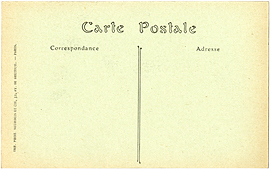 Gargoyle on Notre Dame Cathedral, postcard (back).